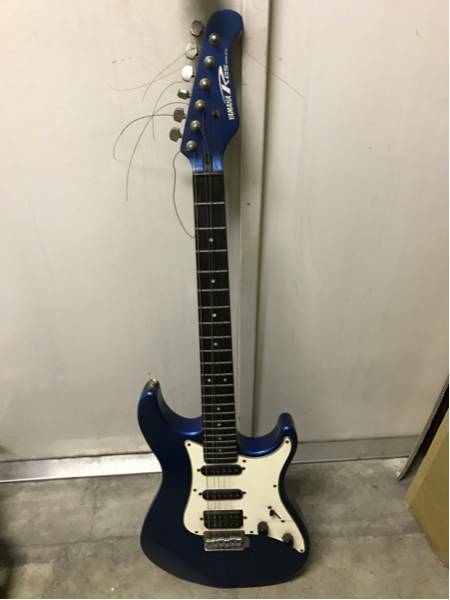 This is a work in progress as definite information on these guitars is extremely difficult to find. I cannot find them in any catalogue that I have access to and although 4 of the 6 models are listed in the archives the pages with details are not there. Production was very short lived for both releases. 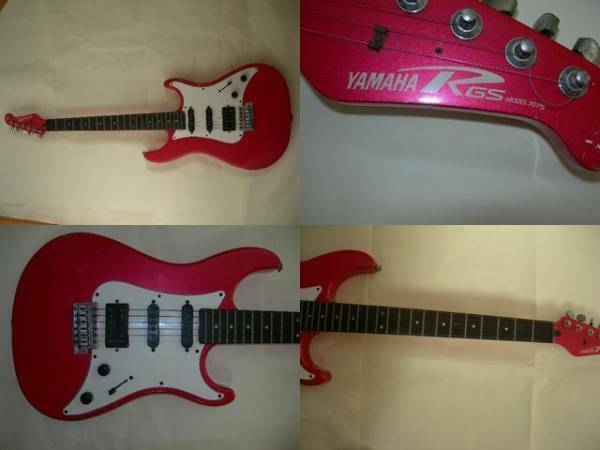 The RGS guitars are strat copies quite cheap models definitely the lower end of the Yamaha range. There were effectively two releases the first four models were released in 1990 and 1991, the second in 2002. All models were made in Taiwan. 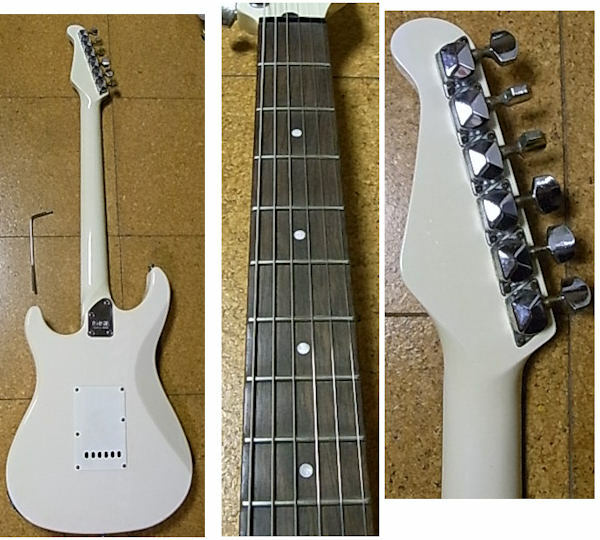 All are bolt on neck 22 frets 648mm scale and around 3.5kgs weight. 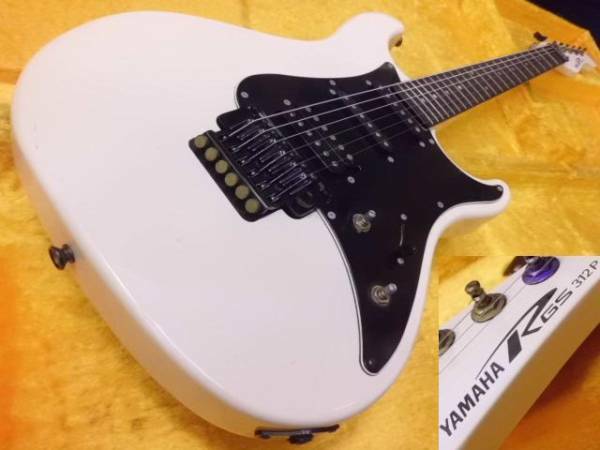 This guitar is as the name suggests an SSS. The pickups look to me to be ceramic. I have seen it in white and Sunburst but obviously there could be other colours. 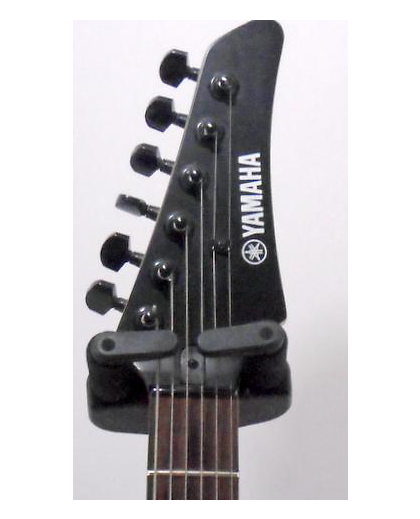 It has a 6 point vintage style vibrato bridge and trap tuners, never a sign of quality. 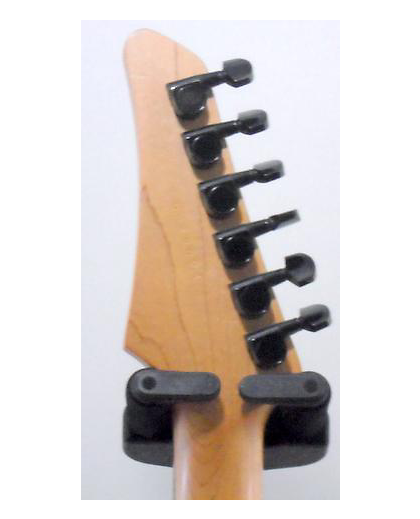 The neck is Maple with a Bubinga fret board attached to an Alder body. The controls are 1 volume 1 tone and a 5 way selector. 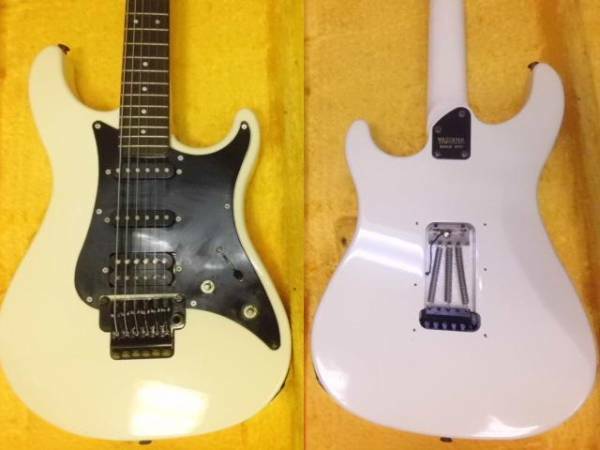 These guitars are SSH models the pickups being described as GS-F and GH-F vintage pickups. Again they have a Bubinga fret board on a Maple neck attached to an Alder body. 1 volume and 1 tone a 5 way selector and again a 6 point vintage style vibrato bridge. The only differences I can find between the p and the ps are cosmetic. 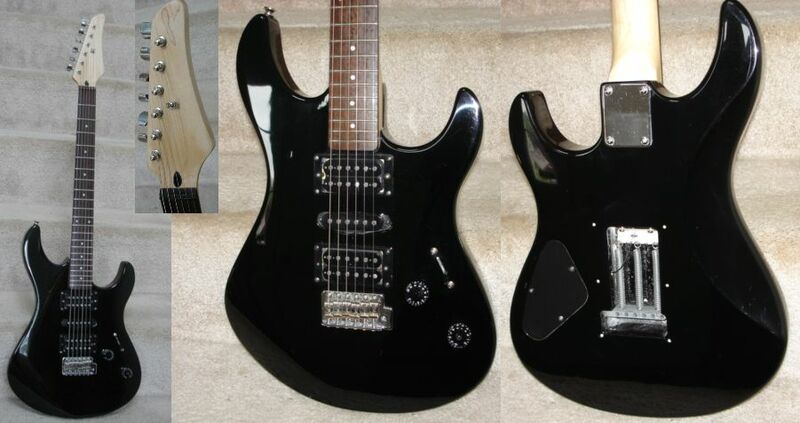 The p has a black scratchplate with black controls and pickup covers the ps has White scratchplate with black controls and pickup covers. The p comes in at least black and the ps in at least black red and blue. 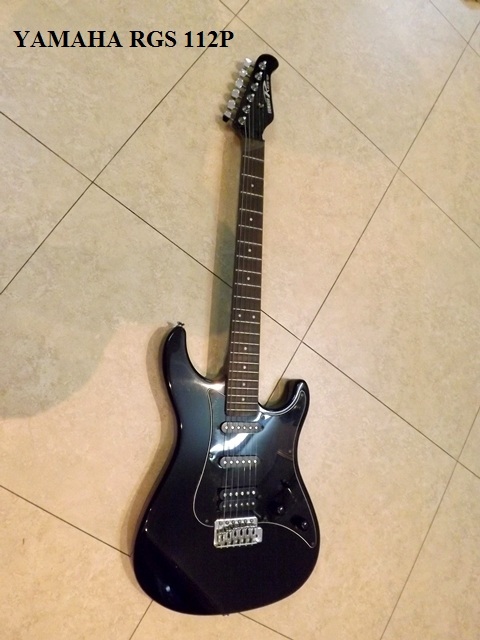 This guitar is more of a Superstrat having a RMX 111 Bridge and locking nut. 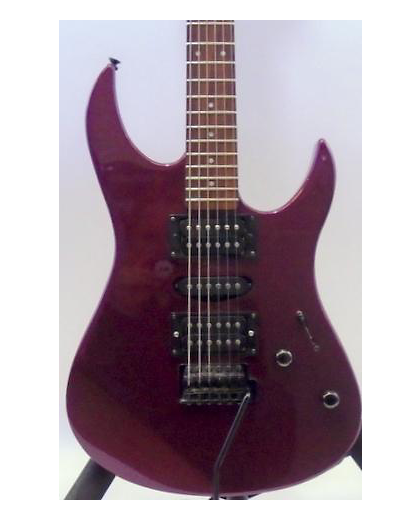 Again though it has a Maple neck with Bubinga board attached to an Alder body. 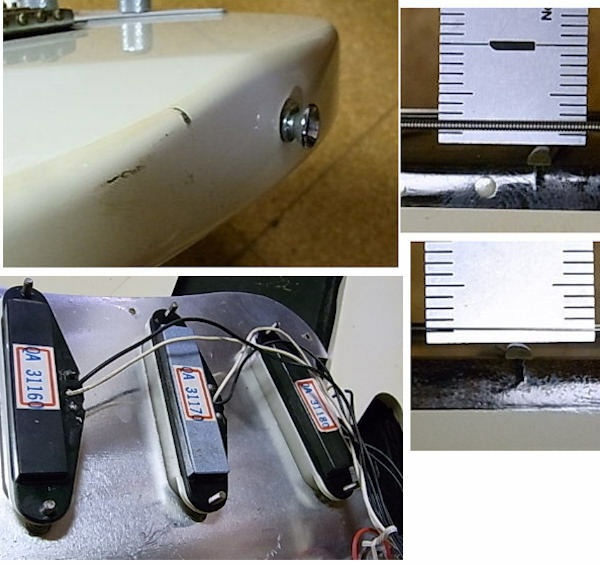 Vintage style tuners. All hardware and plastic is black. 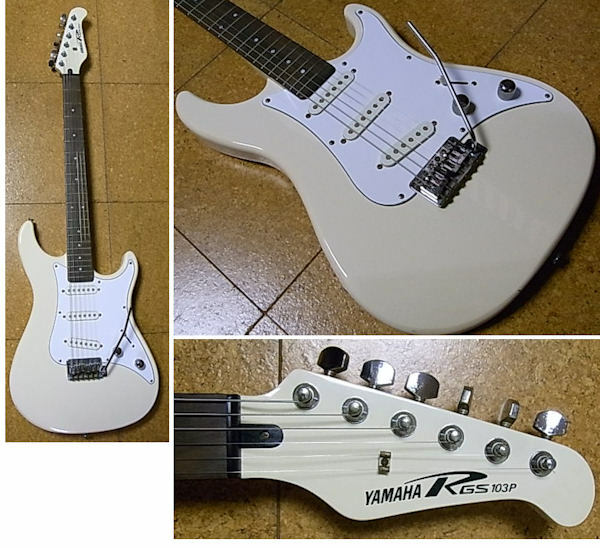 It has the usual 1 volume 1 tone and 5 way switch the pickups are described as 2 GS-FIB single coils and 1 GH-FIB humbucker. In 2002 a further two RGS models were released. The 121 and the 121s. All models I have seen are dated 2002, so I suspect they lasted less than a year. 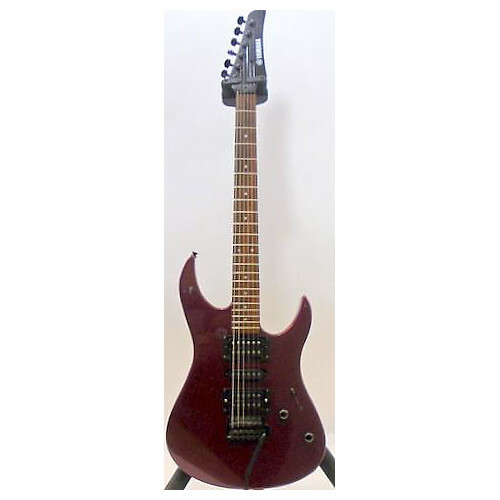 These are essentially the same model the usual Bubinga on Maple neck with an Alder body HSH configuration. 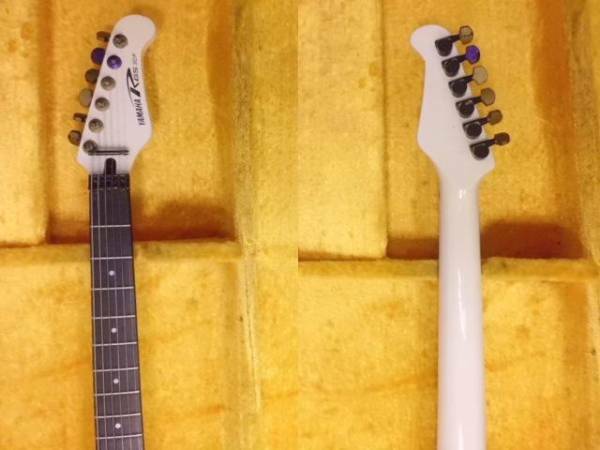 The obvious difference between the two models is the tuners. The 121 comes in at least Black, Electric Blue and Red, the S in at least Purple, Red, Blue and Black.